The Police have had a long, storied, and downright tumultuous career in the history of rock, and oh what a story it’s been! At one point, they were considered the biggest rock band in the world, regularly selling out the largest capacity venues worldwide with no signs of quitting. Four of the band’s 5 albums appeared on Rolling Stone’s 500 Greatest Albums of All Time list, and networks like VH1 included them on their 100 Greatest Artists of All Time list too. The Police were inducted into the Rock and Roll Hall of Fame in their first year of eligibility in 2003, which came as no surprise. Beyond these monumental achievements, they have won six Grammy awards, as well as two Brit Awards. Not too shabby, eh? The accolades just go on and on, and this tiny list hardly does them justice. But before they were the biggest band on Earth, they all had to start somewhere. Steward Copeland (back row on right) in Curved Air. Police drummer Stewart Copeland was on tour with a prog rock band named Curved Air in 1976, and ended up in northern England. There he met future bassist/singer Sting and they swapped info in hopes of eventually meeting to play. 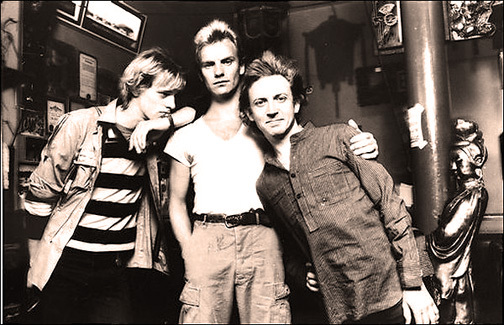 Nothing initially came of this, but several months later Sting moved to London and set out to find Copeland to realize his goal of potentially forming a group with him. The timing proved excellent, for Copeland had just been left without a group after his band Curved Air split up. He had hoped to get involved with the blossoming punk scene that was taking root, but initially Sting was skeptical (which in hindsight comes as no surprise). They recruited guitarist Henry Padovani from the band Corsican to complete their trio. The trio played local shows and did a tour throughout 1977 to support acts Cherry Vanilla and Wayne County & The Electric Chairs. It wasn’t until Mike Howlett, of the famed prog-rock band Gong, invited Sting to play in his new project Strontium 90, that a series of meetings eventually led to the formation of The Police. When Sting joined on, he brought along Copeland because they didn’t have a drummer for their project. The fourth member was none other than guitarist Andy Summers. Sting appreciated his playing, and later asked him to join his other band The Police because of his increasing dissatisfaction with their guitarist Padovani. This recruitment came with a catch though: Summers wanted the group to be a trio instead of a four-piece with Padovani for some reason. He eventually gave an ultimatum that he would leave if Padovani wasn’t dismissed from the band. Ouch. They agreed to Summers’ demand and became the trio that would endure until the band’s eventual demise. The creative output was said to have increased substantially once Summers’ contributions were added to Sting’s material, especially older unused songs, as they reportedly had never felt quite right before Andy had joined the band. With fresh new talent in the group, their style moved into other sonic territories as Summers had a healthy background in several styles of guitar (rock, jazz, classical). While on paper this seems to be an overwhelmingly positive attribute, it actually played a hand in isolating some groups of listeners. Believe it or not, the extra levels of musicality that The Police displayed were also seen as a negative as well. Fans wanted a charged and rambunctious punk act, but the band’s eclectic mix of styles was turning off some of the punk rockers who felt it to be too phoned in and inauthentic. This had some truth to it – Sting initially was not interested in playing music of that sort but saw the potential for breaking new ground on the scene and was convinced by Stewart Copeland, who was keen on the idea. This of course was why their music was a more original concoction – it was a blend of their backgrounds. Outlandos d’Amour, their debut album, was released in 1978. Initially, the recordings were not generating any interest in the band’s aesthetic until “Roxanne” was recorded. This was used as a pitch to A&M Records, and they released it as a single. 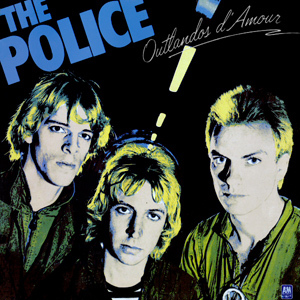 Though the song didn’t fare well initially, the label was wise enough to give The Police another shot and let them release a second single, “Can’t Stand Losing You.” This one fared much better and became a hit, which propelled the record company to release their full album. Interestingly, most publications and outfits did not like the album upon its initial release, feeling it was either too drab, too pretentious, or wasn’t authentic enough for the style, among other reasons. Later though, reviewers like Rolling Stone changed their ratings and eventually even added this album to their 500 Greatest Albums of All Time list. Hindsight, amirite? The band’s second release Regatta de Blanc, was a big step in the right direction for the band commercially and creatively. In landed them two chart topping songs “Message in a Bottle” and “Walking on the Moon”. This was the first of the band’s albums to reach Number 1 on the U.K. Charts. The album’s title track ended up earning the band the Grammy for Best Rock Instrumental Performance in 1980 too. Regatta de Blanc proved a huge success again for the band, and continued to rocket them up to pop star status with bigger crowds and more publicity than ever before. 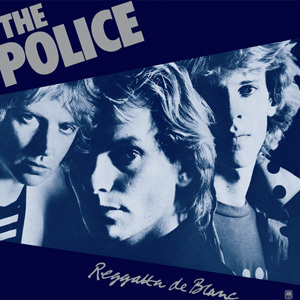 The Police’s next album was again a step toward new sonic territories, but this time it went beyond their early punk/reggae influences and added new textures like synthesizers and more complex song forms. The album was again immensely commercially successful and netted the group two more Grammys. The song “Behind My Camel,” which was written entirely by Summers, was so detested by Sting that he not only refused to play on it, but he took the tape of it and buried it in the garden outside the studio. He must’ve really hated that song! And ironically (and inexplicably) it won a Grammy! The point is, throughout three albums released in just three years, The Police evolved from a raw trio to a real force on the pop music stage. They even sold out Madison Square Garden in 1981. How could they go wrong? They used that momentum to record their next album Ghost in the Machine, another success, and then their final release, Synchronicity. If I had more space I would have loved to have delved into these final albums, but at this point they were solidified in the pop realm and continued releasing great material. While I do enjoy this band’s rapid climb to the top, I have a certain fascination with their eventual collapse. It plays out like a tired old script: stubborn star gains fame and fortune, wrestles for creative control of the band, and isolates fellow bandmates until conflict topples the whole thing. This song opens our video, albeit briefly, but the tone and first phrase are all there. I particularly like the super bright tone and clangy short chord stabs that Summers does for this song. Gear wise, the rig remained largely unchanged throughout the whole video, so keep this in mind in case you wonder what we were using. The basic setup was as follows: a Fender American Pro Telecaster, a Marshall 1987X amp head using the low input, an MXR Dyna Comp compressor, an Electro-Harmonix Electric Mistress, and a T. Rex Replicator Jr. pedal. Though the setup proved versatile, for “Roxanne” we needed only the Marshall and the Dyna Comp to get the tone that we needed. Fun Fact: the song initially was supposed to be a Bossa Nova feel, but they later changed it to a sort of modified tango as heard on the album. This song was a great example of Summers’ use of sparse effects to create the right mood for the song. With just a touch of chorus for the intro riff, and a slightly crunchy gain level set on the Marshall, you’d get most of the way there. Just fine tune the amounts until it sits right. One of my personal favorite Summers tones was on the chorus of this song: that saturated chorus effect (not to be redundant) and that marvelous clean sound. For this part, we weren’t afraid to use a lot of chorus to get that washed out dreamy tone. 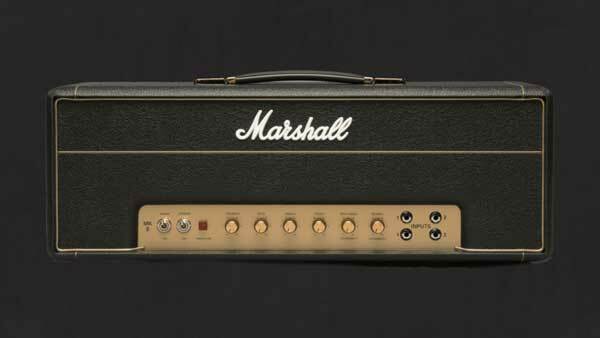 We debated if the amp was a Twin Reverb, which Summers was fond of using, or if it was his Marshall dialed back. Ultimately though, if you have a good clean sound with a little bit of grit it’ll sound appropriate with a chorus effect added to it. 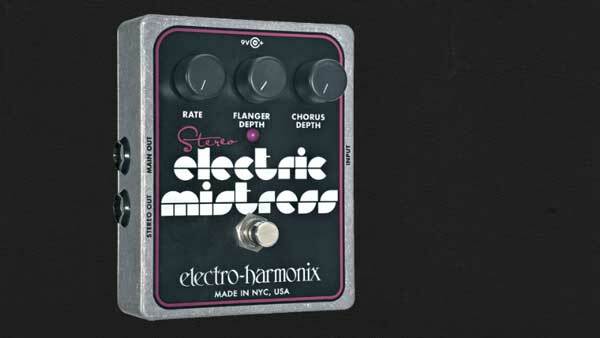 We used an Electro-Harmonix Electric Mistress flanger and our Telecaster for this sound, and were really happy with the tone we got for it. Shimmery smooth! Just be sure to control your gain level on the amp so that it isn’t too gritty – not an easy feat with most Marshalls. My absolute favorite part about this song, for obvious reasons, is all of the killer guitar riffs. The song does a good job of weaving through textures and guitar effects that carry the song along. For instance, the intro guitar riff has a certain urgency to it, both in tone and in rhythm, and its repetitiveness is a nice touch too. If you also notice, there are plenty of overdubbed guitar tracks and extra layers added to spruce up the song’s depth. 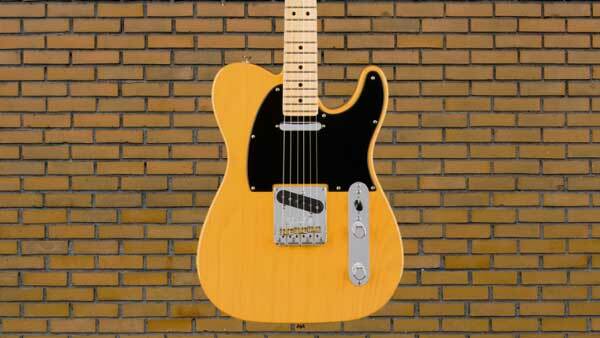 The tone was again pretty straightforward: our Marshall 1987X on the low input, our Telecaster, and the Electric Mistress all comprised the bulk of the gear, but we needed a delay of some sort to finish the job. 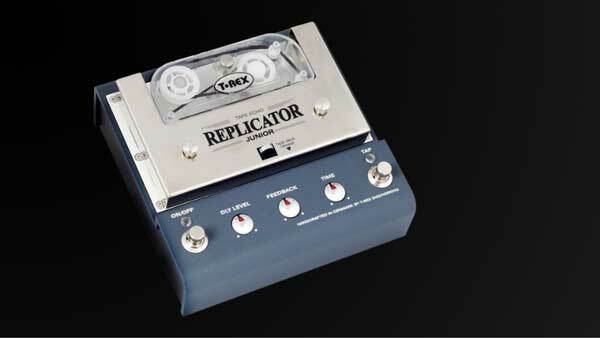 We knew Summers was a big fan of the Echoplex, but obviously we didn’t have an original one lying around the studio. Instead, we decided to use a T. Rex Replicator Jr. Pedal that uses an actual tape, and it provided a lot of that tape saturation sound that we needed for this song. Fun Fact: Summers used a classical guitar with effects for the end of the chorus, but with some tinkering and sound experimentation we got a good replica of it with electrics instead. Love it or hate it, this song is still a bonafide hit. As far as guitar tones go, you’d be hard-pressed to find anything more iconic in the Police’s catalogue. 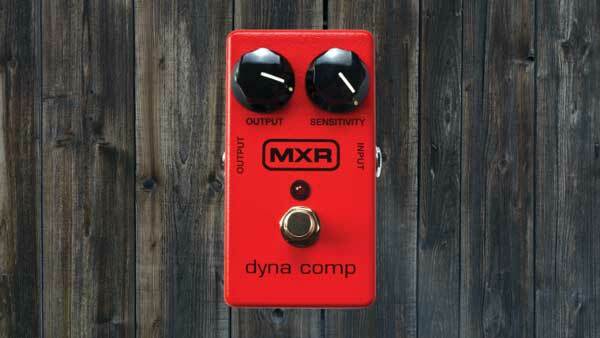 Like in “Synchronicity II”, the delay and chorus combinations are crucial to achieving the appropriate tones. What’s most important is the delay though. We set ours with a short feedback setting for quick delay trails, and matched the song’s tempo in eighth notes. When you dial that in, you get that unforgettable ’80s tone that would eventually become a cliché. As you can see, the tone of Andy Summers takes some fiddling to obtain but with a few solid pieces of gear you can get a wide variety of songs covered. Playing technique is of course a large part of his tone too, but once you have the right sounds it feels much more organic to play things correctly. As a rule, subtlety is usually best though. It’s a shame the band couldn’t settle their differences and make their project work on the long term, but in just a few short years they released albums that still hold up exceptionally well today. This video is only a surface-level glimpse into the band’s work, but it was worth the effort. Check out the video embedded above and let us know what you think! Great article! I totally agree with you on that guitar sound. 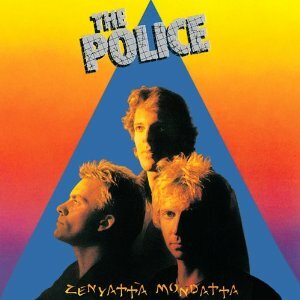 When I heard Zenyatta Mondatta as a pre-teen (1986 or so), it was initially not the record I expected it to be, but it quickly became one of my favorites, and still is. I think Andy Summers’ work with The Police ought to be required listening for anyone trying to do shoegaze. His style was probably an influence on folks like Julian Swayles, Adam Franklin, and Emma Anderson–but I can only speculate on this, really. Great article,the music the equipment the personalities and how they gelled thanks!